Description: New genuine Acer laptop replacement battery. The specifications for this battery are 2500mAh, 37Wh, 4 Cell. This is a high quality original battery. Part #'s: KT.00403.012, AL12A32, 41CR17/65, B053R015-0002, TZ41R1122. 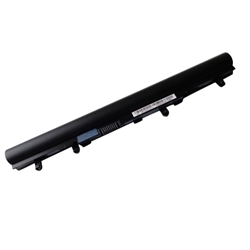 Acer Aspire E1-410, E1-410G, E1-422, E1-430, E1-430P, E1-432, E1-432G, E1-432P, E1-432PG, E1-470, E1-470G, E1-472, E1-472P, E1-510, E1-510P, E1-522, E1-530, E1-532, E1-532P, E1-570, E1-570G, E1-572, E1-572G, E1-572P, E1-572PG.